It is a customary thing in Hungary to eat something when you drink. There are no specific reasons, you just do. It doesn’t have to be filling and heavy, just something that goes well with the taste of your beer, most likely a salty snack. They used to say that bartenders serve it because it provokes thirst and that makes another round. A typical and wide-spread choice is the ropi, which loosely translates as salty sticks in English. These small sticks are great with a bitter beer or something similar. Ropi is very cheap, so you can buy it buy the bulk and share it with your friends. A similar version exists, tastes the same and looks like small pretzels. Craft beer places also have a gourmet version of ropi, which looks like an Italian snack, just larger and made with quality flour in different spices. Just ask your bartender for it! Another popular choice is the zsíros deszka, which is nothing else than greasy bread served with paprika and onion slices. It is a much more filling option, sometimes topped with pig cracklings, and it has a great salty taste and can come in handy in the winter. It has another advantage, because it can prevent hangover, since the grease does away with the alcohol in your stomach. Trust the generations of Hungarians, who survived hangover with a help of a nice zsíros deszka! 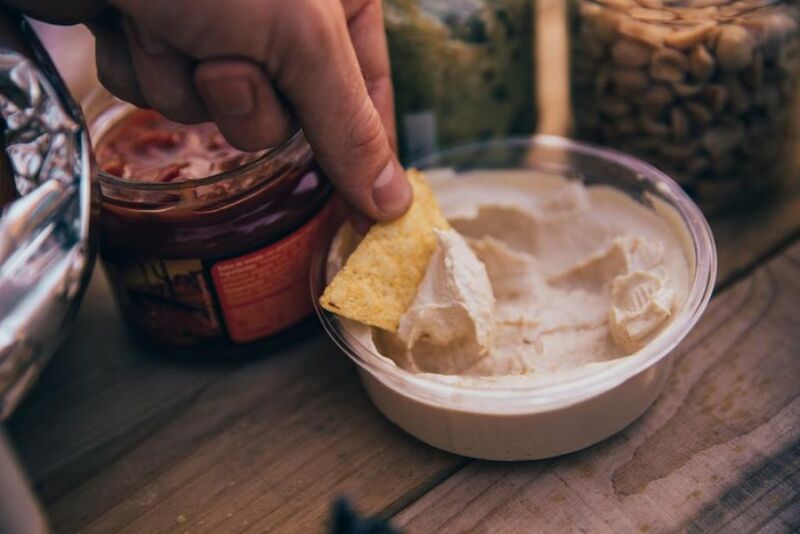 Of course, you can ask for some international favorites like popcorn and chips, but there’s a growing selection of local gourmet products, like cheeses, small sandwiches and plates of sausage, pig or goose cracklings. Having a sörkorcsolya is useful not just of avoiding a hangover, but if you match your drink correctly, it can emphasize the taste of your beer and bring you a culinary experience. The next time you come to a Hungarian pub, make sure to order one of these snacks to get a taste of local stuff. In the meanwhile, get ready for some fun in Budapest and book your beer bike from us today!